Wow! The last two weeks have been so incredibly busy for us…The Husband had some minor surgery, we spent some quality time at the State Fair (one of my most anticipated events of the entire year! ), we’ve spent some extra time with family and school has started back up – whew! All the while, my poor little blog hung out quietly alone in the corner waiting for me to have a moment to cook something. I have to admit, my kitchen’s been a little lonely for the past couple of weeks, too, as we’ve either shared meals with friends or family at get-togethers or opted for convenient restaurant options on our super-busy days. I swear my oven thinks I’ve abandoned it. For whatever reason, it always takes me just a little bit of time to readjust and get back into the groove when my routine changes – I guess I’m not as flexible as I always think I am! But it’s time to get back on track – and back in the kitchen! 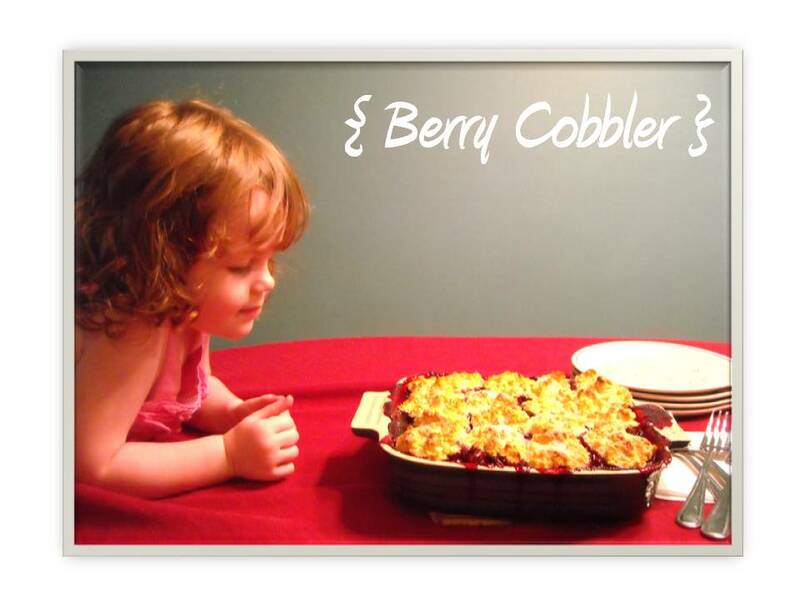 The only really delicious thing to have come out of my kitchen in the past few days was this really yummy berry cobbler. I snapped pictures right before The Redhead decided to try to do some unofficial “taste testing” with her fingers – luckily for the visitors we had over to share dessert, I caught her right in time. We all really enjoyed it – too bad I also had to enjoy scrubbing out the oven after we were done! Word to the wise (I totally knew better and should have done this in the first place): if you’re gonna cook delicious, juicy, ripe berries in the oven and you don’t put a cookie sheet under your baking dish, you’re gonna end up with disgusting, dried out, burned berries in the bottom of your oven…and you’re gonna get real friendly with the steel wool. Uggg. 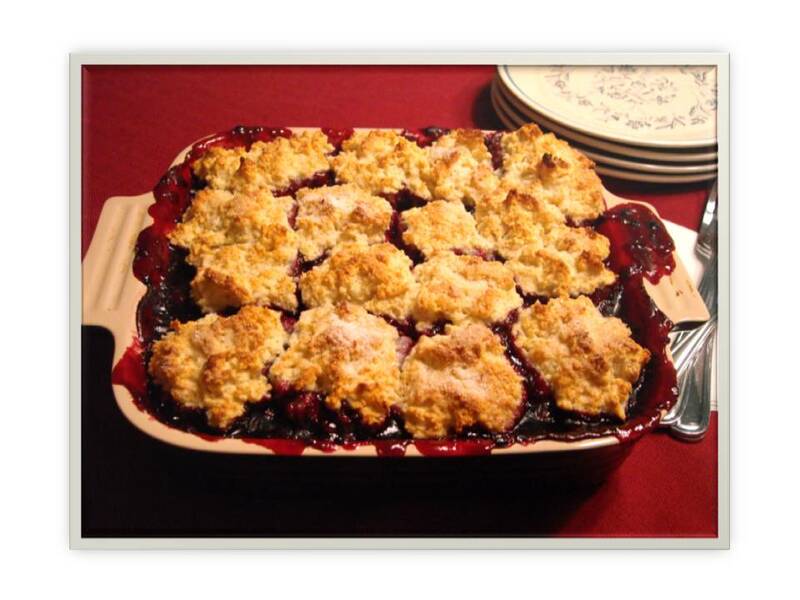 On the bright side, maybe I scrubbed away the calories from the cobbler (?!). Speaking of calories, I’ll be posting the delicious and the not so delicious food I had fun eating at the fair shortly. Blog, it’s good to see you again!